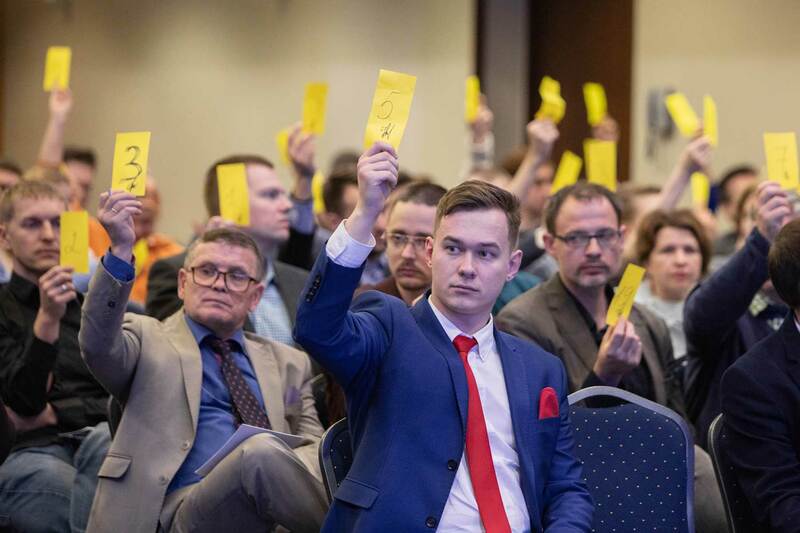 Riga — On 31 March 2019, Open Russia published its official manifesto, an ambitious vision for a future democratic Russia where rule of law and justice are fundamental principles. At the annual conference, members of Open Russia also elected a new chairperson, Anastasia Burakova, as well as the new Federal Council. The organisation also published a statement condemning the political persecution of Anastasia Shevchenko, who is a member of the Federal Council, and Maksim Vernikov, a former member of the Open Russia Movement. We are Open Russia, a non-governmental organisation created by Russian citizens in accordance with Russian laws. We want our country to be free, successful, strong and respected in the world. We want justice and mercy to form the basis of Russian society. We want Russia to be a democracy. And it should be society, not an authoritarian government, that makes political decisions. We want our country to have a government that is open. A government that we — the citizens of Russia — can replace and control. A government that is chosen by our votes at free elections. We want Russia to be a parliamentary republic with a strong government that is accountable to parliament. The single-leader model is no longer a viable option, as it has repeatedly led the country to authoritarianism. We want our country to be a nation-state for all the peoples of Russia who express the desire and will to live together. We don’t want an empire that wastes its resources on annexing and occupying as much territory as it can. We want Russia to be governed by the rule of law. We want every citizen to be able to rely on protection from independent courts and an honest police force, regardless of their wealth, social status or political views. We want Russia to be a fair and socially-orientated state, in which basic benefits, social security and education are available to all. We want Russia’s economy to be based on fair competition, and for there to be an even distribution of the profits made from natural resources. We want freedom of speech to be a basic value in Russia. We want Russian citizens to have access to objective information and different points of view. We want Russia to become the country of our dreams. The country that people want to live in. The country that has a great future ahead of itself. We are raising people’s awareness of issues in Russia and running educational workshops in order to achieve our goals. We are identifying what our objectives are and how we can achieve them. We support those who are ready to fight for and defend their rights. We love our country. And we want to make our country better, so that it becomes the Russia of which we dream—a democratic and merciful Russia.